I couldn’t find any cool info that connected the subject of surfing to the Presidents Day holiday, but I couldn’t resist writing a little something about its history. I guess everyone knows that is was originally meant to honor George Washington, the first U.S. President. He died in 1799, and for most of the 1800s, the observance was not an official holiday. In 1879, Congress decided to make it a day off for government offices in Washington, DC, then expanded it to all federal offices in 1885. 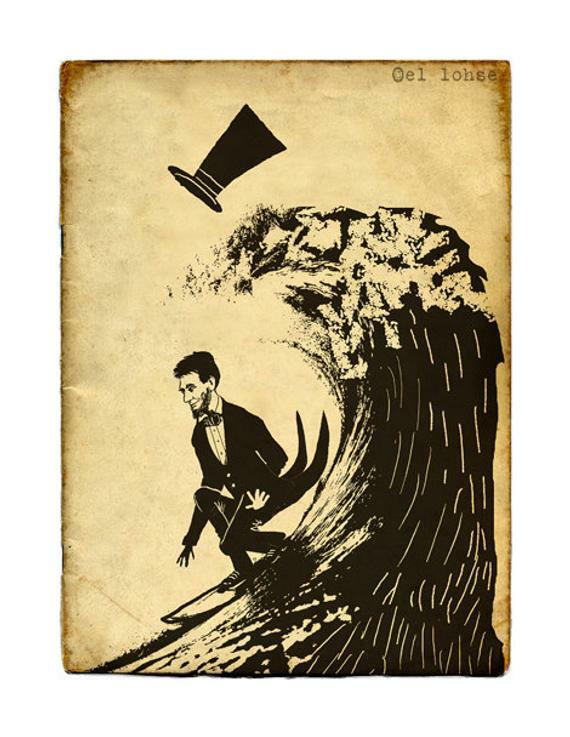 The whole “Presidents Day” designation began in the 1960s, during the Golden Age of surfing (sorry, couldn’t help it). Congress came up with the Uniform Monday Holiday Act, apparently so people could get more three-day weekends and therefore not call in sick as much. Changing the name to “Presidents Day” evidently was met with some resistance at the time; while the name didn’t officially change, the act of moving the holiday to the third Monday in February passed and went into effect by President Richard Nixon’s order in 1971. Since we are making the cool and very patriotic Weber USA tee available for Presidents Day 2019, I thought this was an interesting fact: On February 22, 1932, Washington’s Birthday (before it became the Uniform Monday Holiday Act) was used to reinstate the Purple Heart, the highly regarded and revered military decoration originally created by none other than George Washington. Because the date we now use to honor the life of George Washington falls between his birthday and that of Abraham Lincoln, both U.S. Presidents remain the two most recognized leaders associated with the holiday. However, Presidents Day is popularly viewed as a day to recognize the achievements of all America’s past chief executives. Enjoy your Presidents Day weekend, and thanks again for your support of Last Wave! !